BNP Paribas S.A. is a French global banking group, headquartered in Paris,with its second global headquarters in London. 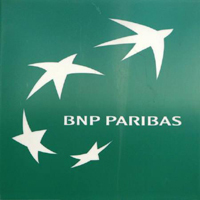 It was formed through the merger of Banque Nationale de Paris (BNP) and Paribas in 2000. In April 2009, BNP Paribas purchased a 75 percent stake in Fortis Bank, the Belgian banking business, making BNP the eurozone’s largest bank by deposits held. In 2011, BNP Paribas was the world’s biggest bank, as measured by total assets of US$2.670 trillion. The candidate should possess Engineering degree with Computer Science background or MCA First class Graduate from a reputed University (above 70%) with a strong aptitude and analytical skills. Should exhibit Excellent Communication Skills. Knowledge of OOPS, DB concepts and Web applications and strong knowledge in the QTP Automation. Must have good Analytical abilities. The Junior Test Engineer will be responsible Develop a good understanding of the application (functional). Analyze new requirements/changes (functional and technical) from a testing perspective. Carry out Integrated System Testing – Manual Testing. Automation and execution of tests.